Washington: US President Barack Obama has determined India and its three neighbours, Pakistan, Afghanistan and Myanmar, among a list of 22 nations that are major illicit drug producing or transit countries. Other countries on the list consists of the Bahamas, Belize, Bolivia, Colombia, Costa Rica, Dominican Republic, Ecuador, El Salvador, Guatemala, Haiti, Honduras, Jamaica, Laos, Mexico, Nicaragua, Panama, Peru and Venezuela. 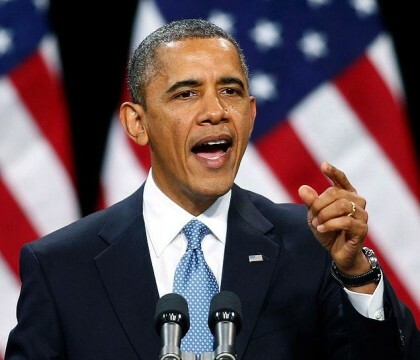 In a notification to the Congress, Obama determined that Bolivia, Burma (Myanmar), and Venezuela “failed demonstrably” during the last twelve months to make sufficient or meaningful efforts to adhere to their obligations under international counter narcotic agreements. In accordance with provisions of the Foreign Relations Authorization Act (FRAA), the President also determined that support for programmes to aid the promotion of democracy in Myamnar and Venezuela remains vital to the national interest of the US and therefore grants Burma (Myanmar) and Venezuela National Interest Waivers, the State Department said in a statement. A country’s presence on the list does not necessarily reflect its counter narcotics efforts or its level of cooperation with the United States on illegal drug control, it said. The designation can reflect a combination of geographic, commercial, and economic factors that allow drugs to be produced and/or trafficked through a country, it added. When a country on the list does not fulfill its obligations under international counter narcotics agreements and conventions, the President determines that the country has “failed demonstrably” to meet its counterdrug obligations. “Such a designation can lead to sanctions,” the State Department said.